If you landed here at Bladder Problems - Part 3 and want to read Part 1 and Part 2 first click the links to start there first. After awhile though, for Cir, the medication didn't work as well. He began leaking because he wasn't able to empty all the way. Then came the "diaper days". He wasn't that comfortable buying them, but he had no choice. It was even more embarrassing to wet on himself. He wore them for quite a while. Especially at work, when it was hard for him to make it to the bathroom in time. Things finally got to the point of no return when he just couldn't urinate. One day he just couldn't go. He began having spasms every time he had to go to the bathroom. This went on for almost two days until we finally decided he need to go to the emergency room. Something was seriously wrong. We got to the emergency room and told them that Cir couldn't go to the bathroom. He hadn't emptied in almost two days. They rushed him right to the back. The ultrasound showed his bladder was almost twice the size it was supposed to be. They told Cir they had to get the urine out. He asked them how. 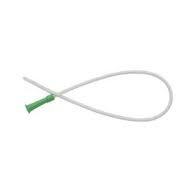 "Catheter", they said. Cir got really quiet. He was not feeling too great about a tube going inside him so that he could urinate. He got through it alright, though, and went home with an indwelling catheter. He had to keep it in for for about a week, until his bladder went down to a more normal size. This was no fun either. But after that whole ordeal was over, he had to make a choice. The urologist met with him and after taking out the catheter, he told Cir he could either have a permanent catheter. Or he could begin intermittent self-catheterization or (ISC), (sometimes called intermittent catheterization or IC). He chose to do ISC. He was still able to use his hands so his doctor said he shouldn't have a problem. And to make a long story short, he is totally happy with it. He doesn't need to use adult diapers because he always empties his bladder. There is nothing left to leak or dribble. He does need to be very careful about cleanliness, to avoid getting infections. Even though he is very careful, he has still had a few. This is probably unavoidable when you are always introducing something foreign into your body. Bladder problems are not an impossible situation to overcome. It may seem so when you are first faced with it. The thought of having to do something like that for the rest of your life can be frightening. But you can do it. Once you learn how to self-cath, it becomes second nature. Until we write a page about how to do it, here is a neat pdf book about how to self-cath from St. Joseph' Healthcare of Hamilton, Ontario - (see note below). Cir feels so much better doing it. He has none of the symptoms that go along with having bladder problems, like urgency, hesitancy, or leaking, so that's a plus. Note: This pdf file was written in 2005. Since then, Medicare guidelines have changed a little. You can now get enough catheters so that you don't have to re-use or wash them, once you meet the requirements. (You should try and find out what the guidelines are for your state or where ever you live). Plus now there are many more options available that make the possibility of infections less likely. So if you are having bladder problems, don't hesitate to let your doctor know. There are many ways of dealing with them so that you no longer have to tolerate this problem. How you learn to live and deal with bladder problems will make a big difference in your quality of life. You really don't have a choice whether or not you confront this problem. If you have it, you must come to terms with it and the sooner the better.